The Trump Administration’s policies on travel and immigration have reignited interest in an old precedent from World War II: the mass incarceration of Japanese-Americans by the Roosevelt Administration with Executive Order 9066. Opinion pieces on the right, left and in-between argue over the similarities and differences, but the arguments at the core of the debate are not about the specifics of how people are incarcerated or what legal principle is up for review. We are at a point in time when we are asking as a nation whether it's OK to target specific ethnic groups to address large and complicated threats to our national welfare. That's what brings to mind World War II. 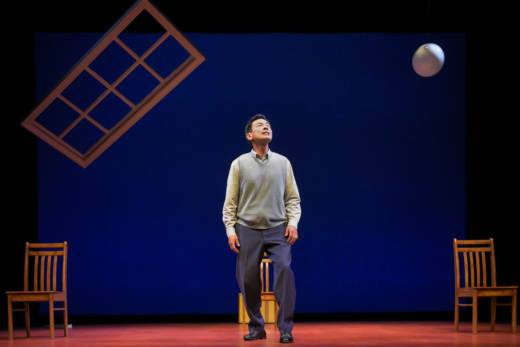 That political context makes Hold These Truths, a play written more than a decade ago about that case and the man behind the name Hirabayashi, strikingly resonant as it makes its Bay Area premiere this week with TheatreWorks Silicon Valley. Gordon Hirabayashi was a college student in 1942 when he decided to turn himself in for refusing to abide by laws established to isolate Japanese and Japanese-Americans in the Western United States, on no other basis than race. Over sixty percent are American citizens, yet they are denied, without due process of law, the civil liberties which are theirs. If I were to register and cooperate under these circumstances, I would be giving helpless consent to the denial of practically all of the things which give me incentive to live. I consider it my duty to maintain the democratic standards for which this nation lives. Therefore--I must refuse this order for evacuation. Hold These Truths was written by Watsonville-born, Los Angeles-based actress Jeanne Sakata. As a Japanese-American, she thought she knew the history of the internment camps. So she was surprised to learn about Hirabayashi by watching a 1992 documentary, A Personal Matter. "It just flabbergasted me that I didn't know. At the same time, the story itself delighted me," Sakata says. 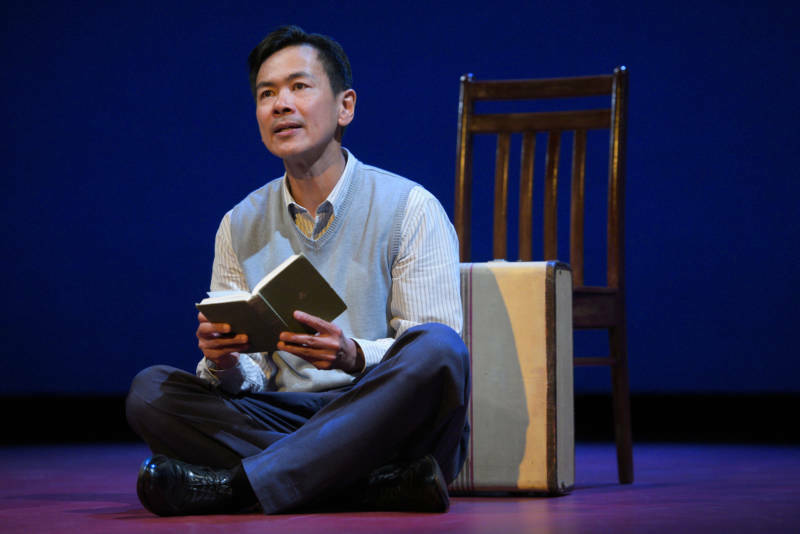 Sakata considered writing a play about all three: Korematsu, Hirabayashi and Minoru Yasuri. But the longtime actress had never written a play before, and that challenge seemed too daunting. "It was just a little too much to handle. So I thought I would just focus on telling this one story that I loved so much, and that I never saw in my history books," she says. Part of what intrigued Sakata was Hirabayashi's Quaker faith. "I had grown up in a Japanese-American Presbyterian family, and that's something I never heard of: a second generation Japanese-American Quaker." Hirabayashi converted in college, but as Sakata learned, it wasn't a big stretch, given that his parents were members of a Japanese Christian sect called Mukyōkaishugi, known for its socially progressive values similar to those of the Quakers. Perhaps it took a man given to iconoclasm to pick a fight with the federal government. He had already joined the Quaker-run American Friends Service Committee by that point, as the group was helping Japanese-Americans thrown into disarray by Executive Order 9066. Later, the ACLU would help him in court. 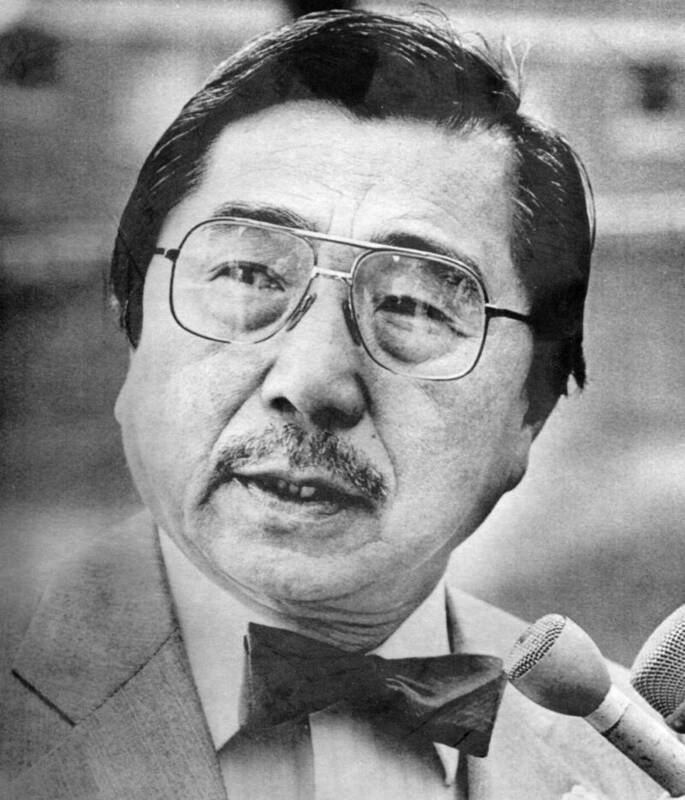 Like Korematsu and Yasui, Hirabayashi lost before the U.S. Supreme Court. He was legally vindicated in the 1980s, though. Hirabayashi's convictions on both charges were overturned by the U.S. District Court in Seattle and the federal appeals curt, because evidence arose that the Solicitor General's office cited examples of Japanese-American sabotage in its Supreme Court arguments, despite having determined the rumored incidents were indeed rumors only. Hirabayashi died in 2012 and received a posthumous Presidential Medal of Freedom from President Barack Obama. Hold These Truths provides plenty of opportunity to stretch for Joel de la Fuente, perhaps best known for his role as Inspector Kido in Amazon’s The Man in the High Castle. He gets to play more than 35 characters, switching between them with impressively deft rapidity, sometimes mid-sentence. Sakata says, "I really wanted one Asian-American actor to have a chance to show his virtuosity. You see him do one role on High Castle, but in this play, you get to see him play an amazing array." In a way, the role is a vindication for Sakata, too, she says, having suffered as an actress from the paucity of complex roles written for Asian-Americans during her own career. Watch de la Fuente perform a conversation between Gordon Hirabayashi and his mother in Hold These Truths. Hold These Truths made its world premiere in 2007 in Los Angeles with East West Players, the nation’s oldest Asian-American theater company. Sakata says she originally wrote the play to preserve and celebrate the history, even though now it sounds like it was ripped from today’s news headlines. "We are in a time right now politically where we need some beam of light, some hope, and I hope that the story will provide that, will inspire us to stand for what's right even when times are going against us." Lisa Rothe, who's been directing this play since 2009, agrees that audience reaction has changed markedly over the years the play has traveled the country. Rothe says, "Before the election [of President Donald Trump], the conversation was on a shelf. Like, 'Aren't we happy that we've moved beyond this?' Now, to actually see it on the front pages of the newspaper is pretty extraordinary, and depressing. Even if you don’t agree with the politics of the play, it is a rip-roaring ride through a dramatic chapter in American history, and a reminder that the civil liberties promised in this nation's founding documents are still the subject of continuous debate and conflict. Hold These Truths runs through August 5th at the Lucie Stern Theatre in Palo Alto. More info here.